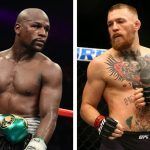 Boxing great Floyd Mayweather and UFC champ Khabib Nurmagomedov are responsible for Conor McGregor’s last two defeats, and now the two are considering squaring off in a fight of their own. 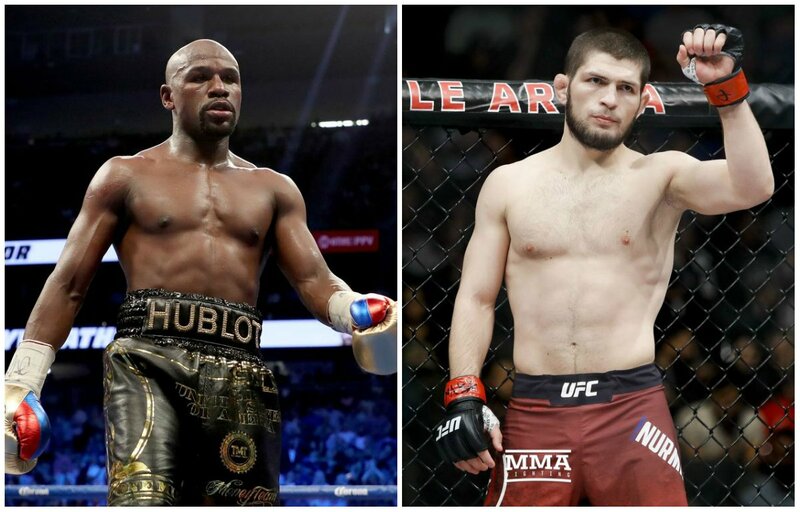 Less than two weeks after his rear-naked choke submission over McGregor during UFC 229 at T-Mobile Arena in Las Vegas, Nurmagomedov is challenging Mayweather to a boxing match. Online sportsbook Bovada wasted no time in opening odds on the hypothetical bout, and like with McGregor, a mixed martial arts (MMA) star who has never boxed professionally, oddsmakers feel there’s little chance Khabib will deliver Mayweather his first defeat. Bovada’s line on Mayweather vs. Nurmagomedov has Floyd at -2000, and Khabib the long underdog at +900. To make a $100 on the favorite, you’ll need to risk $2,000. The -2000 line implies Mayweather will win the boxing match 95.24 percent of the time. On the contrary, a $100 gamble on Nurmagomedov nets $900 should the upset be pulled off. The +900 line gives the underdog a 10 percent chance of winning the fight. BetOnline has it a bit closer, but not much. Mayweather is at -1500, to Nurmagomedov at +800. Oddsmakers give Nurmagomedov a slim shot of defeating Mayweather in the boxing ring. And the UFC star is receiving even less respect than McGregor. When Floyd and Conor announced their boxing fight in June 2017, the Westgate SuperBook opened the odds on the fight with Mayweather at -1100, and McGregor +700. The evening of the fight, the odds shortened on the underdog to +500. The August 2017 spectacle, which was the second highest pay per view event in US television history, was a major win for sportsbooks. Some 90 percent of the money was on the underdog. Mayweather seems to be itching for another fight. He’s floated the idea of crossing over to UFC, but said he would require a multi-fight contract worth upwards of $1 billion. 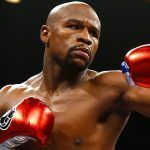 Staying in the boxing ring might be likelier in the cards, and along with the Nurmagomedov rumblings, a rematch with Manny Pacquiao has been suggested. 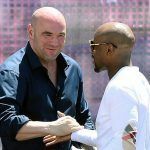 Last month, the two fighters were at a music festival in Japan where they said in an Instagram video that they were finalizing a deal. “We’re going to take the belt. We’re going to get the payday. And I don’t want no shoulder excuses,” Floyd said referencing Manny’s post-fight shoulder injury disclosure. Though their 2015 fight was considered a letdown by the majority of fans, it was the most lucrative boxing event in the history of the sport. As for rematch odds, Mayweather is the favorite at -260, to Pacquiao at +200.